Rapid and cost-effective immunohistochemistry plays a crucial role in diagnostic pathology. However there are currently very few textbooks dedicated to its role, especially in diagnostic dermatopathology. This comprehensive volume provides a practical guide to the application of immunohistochemistry in dermatopathology and bridges the knowledge gap by updating readers with helpful diagnostic immunostains as well as recently available ones. Organized by lines of differentiation, each chapter includes a synopsis of applicable antibodies, pertinent immunohistochemical panels, summary tables outlining the staining patterns of the entities in the differential diagnosis, and case studies. The twelve chapters cover entities based on lineage including epithelial, melanocytic, lymphoid, adnexal and soft tissue. The role of immunohistochemistry as a screening test for underlying genetic syndromes, immunobullous diseases, detection of infectious agents and therapeutic purpose is also discussed in detail. 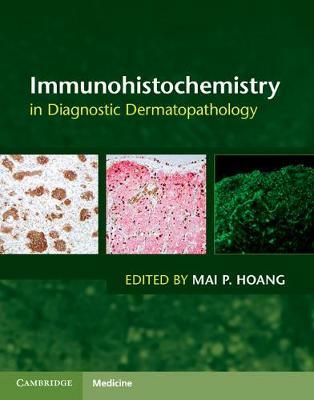 This is an essential text for pathologists, dermatopathologists and residents in pathology and dermatology.